What I enjoy most about working at CTCA is knowing that patients are being treated how I would want to be treated, with the whole team engaged in delivering the best care possible. 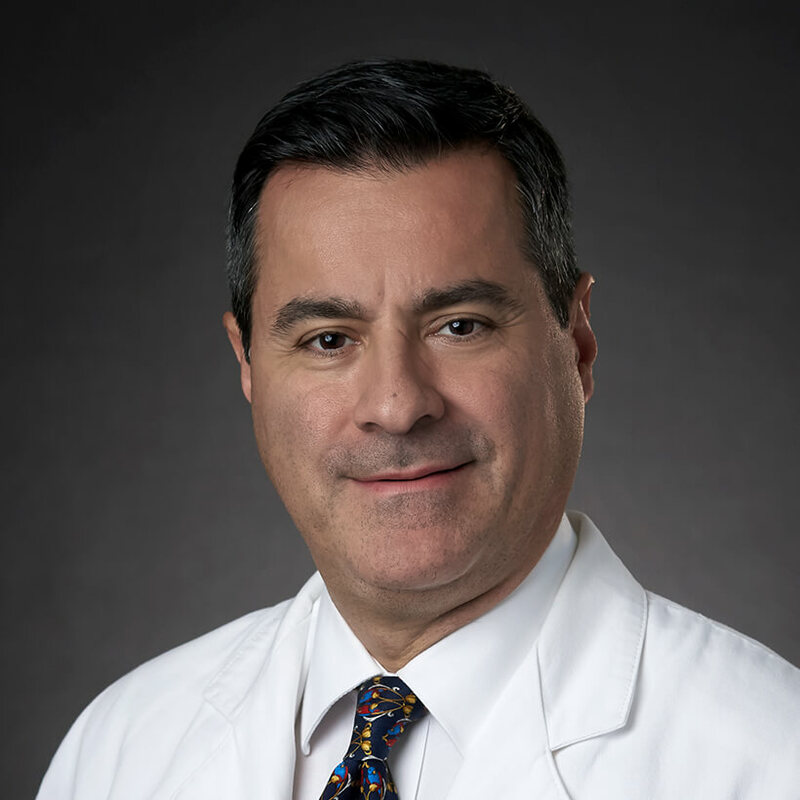 Dr. Farhang Rabbani, Urologist at Cancer Treatment Centers of America® (CTCA), Atlanta, brings a distinguished background of international medical care spanning two decades. At age 19, Dr. Rabbani completed his Bachelor of Science degree in Mathematics at the University of British Columbia, in Canada. He attended medical school at the University of British Columbia, earning a degree in 1991. His postgraduate training began with an internship rotation in London, Canada, and continued with a residency in Urology in 1996 at his alma mater in Vancouver. He then completed a three-year Urologic Oncology fellowship at Memorial Sloan-Kettering Cancer Center in New York, where he remained as Attending Physician for another 10 years. He then served as urologist at Montefiore Medical Center in New York for six years, where his positions included Interim Chief, Weiler Division, Department of Urology; Director of Research; and Associate Director of the Prostate and Genitourinary Cancer Program at the Montefiore-Einstein Center for Cancer Care. His academic appointments include Assistant Professor of Urology at Weill-Cornell Medical Center, Adjunct Assistant Professor of Urology at SUNY-Downstate Medical Center in New York and most recently, as Associate Professor of Clinical Urology at the Albert Einstein College of Medicine of Yeshiva University. Dr. Rabbani is the recipient of numerous awards and honors, including the American Foundation for Urologic Disease/Ortho-McNeil Pharmaceutical Scholar. He has been included in The Best Doctors in America 2011-12, and was named one of America’s Top Oncologists in 2007. Dr. Rabbani has published extensively in major journals such as Journal of the National Cancer Institute, Journal of Clinical Oncology, Journal of Urology, Urology, European Urology, and Cancer. He has written more than 80 peer-reviewed studies and more than 25 book chapters, review articles and editorials, with over 5,000 citations. He has received grants and served as Principal Investigator in a number of clinical trials, as well as taught numerous medical students and trained residents and fellows in urologic oncology. Dr. Rabbani has also served as reviewer for multiple journals and served on the Editorial Board of several journals. He has presented more than 80 abstracts at national and international conferences. He is a member of the American Urological Association, American Society of Clinical Oncology, Society of Urologic Oncology, American Association for Cancer Research, American College of Surgeons Oncology Group, and the Bladder Cancer Advocacy Network’s Bladder Cancer Think Tank. At CTCA®, Dr. Rabbani provides surgical treatment of urologic cancers including prostate, kidney, bladder and testicular cancer. He brings expertise to several advanced urologic oncologic procedures, including nerve-sparing radical prostatectomy, partial nephrectomy, cystectomy with neobladder reconstruction, and nerve-sparing retroperitoneal lymph node dissection. Outside of work, his favorite pastime is being with his wife and two sons. The whole family loves to go skiing and skating, and he and his wife enjoy ballroom dancing.